Mom, I know you’re inside those blue eyes somewhere and that there are so many things that you won’t understand tonight, but this is the only important one to take in: I love you, I love you, I love you. And I hope that if I say this three times, it will magically and perfectly enter into your soul, fill you with grace, and the joy of knowing that you did good in this life. You’re a great mom. Please take that with you when you’re finally OK to go. Complete transcript via Awards Daily. 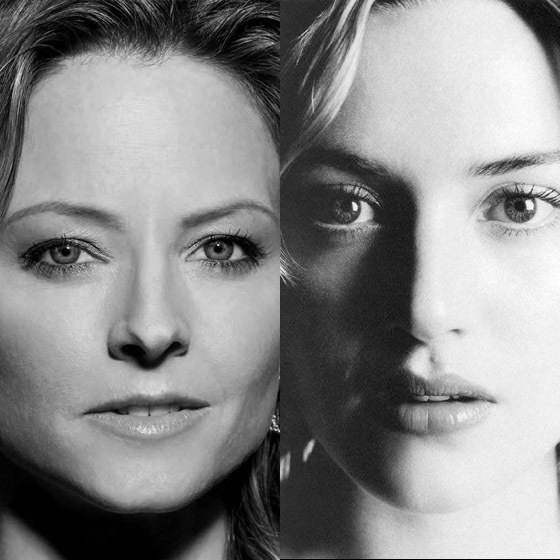 Wow, can you imagine Foster and Winslet playing opposite, neck to neck? an adaptation of Yazmina Reza’s acclaimed play ‘God of Carnage’, about two sets of parents who meet for a civilized confrontation after their kids get into a fight on the playground. As the evening proceeds, though, the conversation devolves into rage, prejudice, and homophobia. No, not gonna credit Moviefone. Hate it.